Called the "Umami Frenchie" burger, the new menu item from the premium burger brand features a beef patty topped with caramelized onions, tomato compote, pork belly rillons, Dijon mustard, tomatoes, Raclette cheese and arugula. 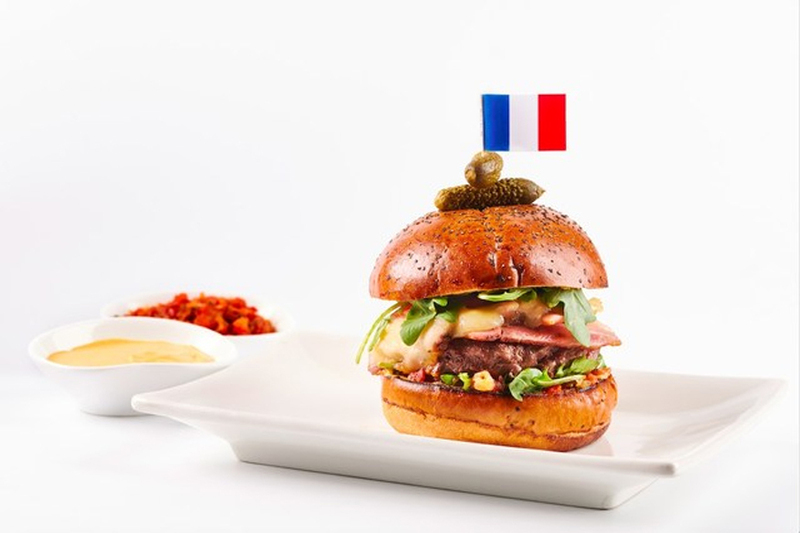 [post_ads]In time for Bastille Day, the French national holiday July 14 -- and a major World Cup showdown Sunday between France and Croatia -- Umami Burger is set to release a gourmet burger in collaboration with Michelin-starred French chef Daniel Boulud. Boulud is one of several chefs who jumped ship from France to become permanent ambassadors of French gastronomy in the US. That group also includes Eric Ripert and Jacques Pépin. A dollar from every Umami Frenchie burger sold will go to Citymeals, which provides New York's homebound elderly with meals and companionship. It's the latest development from the premium burger brand. The company also announced a partnership with Impossible Burger, the plant-based faux-meat product that looks, smell and tastes like beef. Impossible Burgers will be sold at Umami Burger restaurants for the next two years. Umami Burger has 22 locations in California, New York, Illinois, Nevada and Japan, and is scheduled to open more locations in Mexico City this year. The company also has ambitious international expansions plans that include 40 more locations across Mexico, a dozen in Japan, along with locations in the United Arab Emirates and Qatar. The burger launches July 14 and will be available until Sept. 14, 2018 for $18.